My rating: 8.5/10. Great watch. Japanese Quartz Chronograph. Today I’m doing a Seiko SNAE56 review. 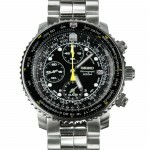 Seiko are one of the biggest watch manufacturers in the world. They’ve been creating stunning high quality watches for many years now so I felt like I’d feature another one of their more popular timepieces today. 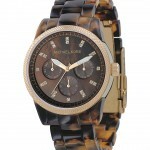 This is one of their more expensive watches but it’s still in high demand. 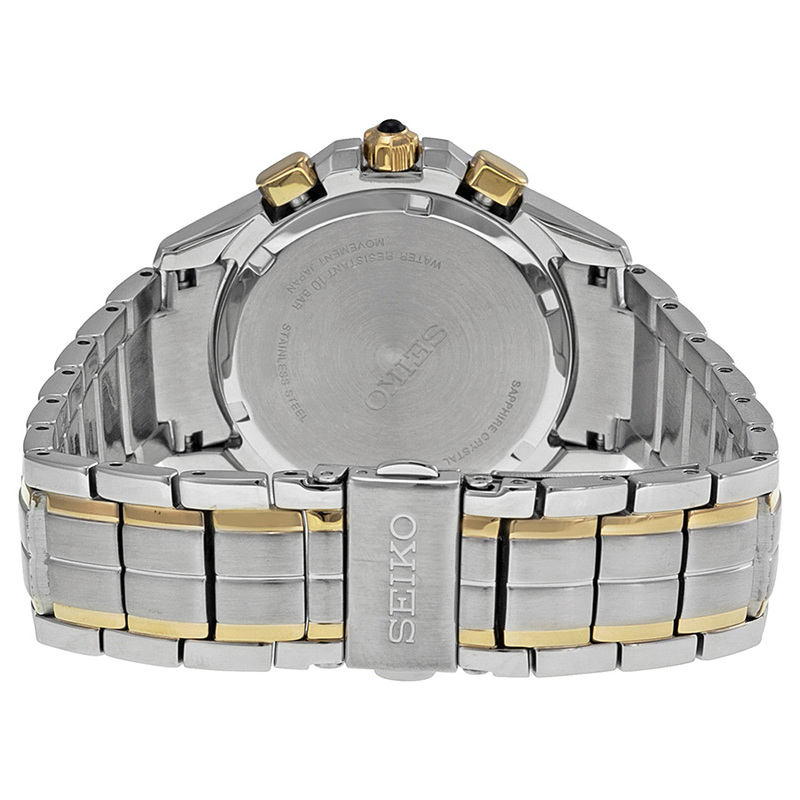 Let’s take a look at the Seiko SNAE56 in more detail below. The Seiko SNAE56 has that expensive look and feel to it. The two-tone design has been done pretty well here in my opinion and gives the watch that extra luxury style to it. 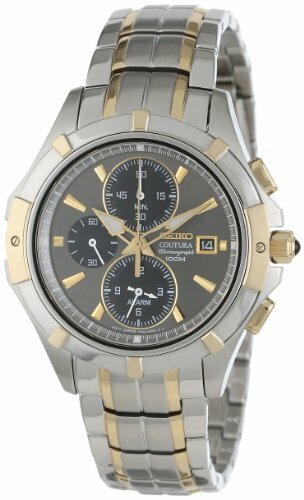 This is a Japanese chronograph that has some useful features that we’ll look into below. Personally, I’m not a fan of this dial set up, to me it feels a bit too busy. I’m aware some people prefer watches like this but I feel it’s worth pointing out as I know other people have issues with it like I do. There is lume features on the dial but it’s only located on the hands and at the 12, 3, 6, and 9 marks. There are alarm and stop watch features on the watch, if you use these often you’ll soon learn how to quickly operate them with no problems at all. If you only use this occasionally I’d be prepared to have a little issue getting used to it myself. Ignoring the busy dial design I actually really like the rest of the watch setup. The strap for instance, is one of my favourite styles with the double push button release system. I’ve added a picture of this just below for you. When it comes to sizing the SNAE56 is a fairly standard men’s watch. The casing diameter is 42mm while the thickness is 10mm. While it’s effectively classed as a men’s large watch, this has become the new standard these days. Band Stainless steel two tone strap, standard length, 20mm wide, fold over push button release style clasp. Dial Analogue display. The window lens is made of Hardlex crystal. The Seiko SNAE56 is a fairly expensive watch, and that’s something we don’t feature all to often here. 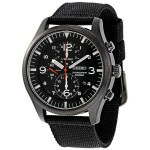 However as it was so popular I wanted to give it a go and look into this watch. Overall I can see the appeal, but it’s not something I would personally go for. That’s more on the grounds of personal taste than anything else, I’m just not a fan of the dial design. That being said, it is a very well built watch from Seiko as you’d expect. I hope you enjoyed this Seiko SNAE56 review. Let me know what you thought in the comments section below.